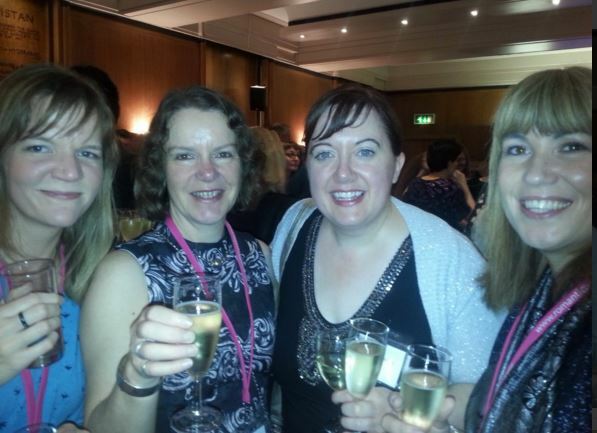 Just two days ago – gosh, is it really that long, already – I went down to London for a day of partying with my romance author friends. 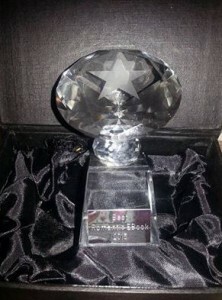 In the afternoon was the Love Stories Awards ceremony, held at a very glitzy cocktail bar and I am thrilled – and amazed! – to say my summer bestseller, Game of Scones, won the Best Romantic Ebook category! I think I shall be taking this sparkly statue to bed with me for several days to come (sorry husband, I know three is a crowd). I also embarrassed myself but muddling up the identities of a literary agent and editor and inappropriate hugging was involved! But with the Prosecco flowing, such mistakes are easily forgotten and laughed over. After the awards ceremony, during which another award-winner, the prolific Jenny Colgan, gave a very funny speech, we headed for the Romantic Novelists Association’s Winter party in a posh venue near the Ritz Hotel. Cue more Prosecco and lots of lovely nibbles – mini pizzas and tarts, scones (appropriately for me!) and a short industry award ceremony, champagne provided courtesy of the brilliant Katie Fforde. From left to right, here are fab author friends Annie Lyons, Kath McGurl, Holly Martin and Carrie Elks (phew, I got all their names right). Towards the end I finished up by putting the world to rights with another writer, in the toilets – where else – before heading off early to catch my train home (needn’t have bothered, it was delayed by an hour!) and I finally got to bed at 2am. Great day. Both events so well organised. And writer friend John Jackson, as usual, acted as a very polite and lovely version of the paparazzi – well done. This entry was tagged awards, jenny colgan, katie fforde, lovestories15, rna, romance, romantic novelists, the ritz. 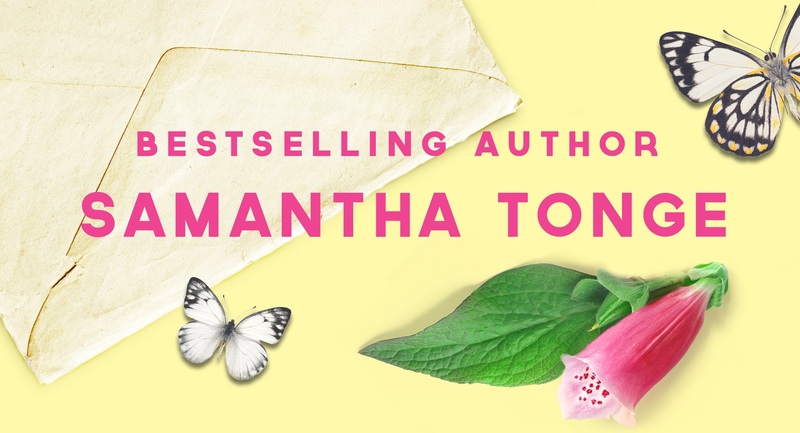 ← Ten Quirky Questions with Author Holly Martin! Congratulations, Sam – very well deserved. Congratulations, again, Sam! It was lovely to see you and great to think we get another chance to meet up next week! Great post Sam and lovely to meet you at last!